**Open House this Sun from 1-4** Located in attractive Discovery Hts & steps from Carr-Gottstein Park. 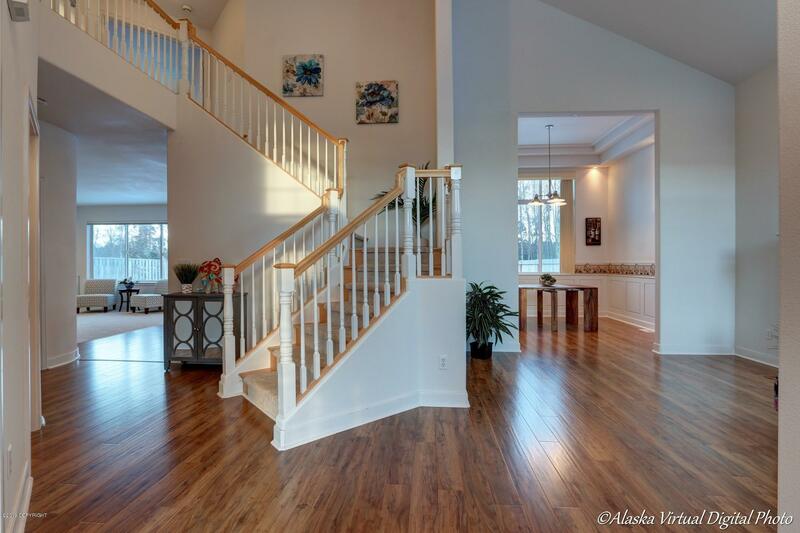 Expansive 1st floor w/soaring ceilings, gorgeous curved staircase, 2 gas f/p's, bedrm/office & full bath. Upstairs offers LARGE mastr suite w/jetted tub, walk-in shower, & Large walk-in closet. 2 more bedrooms/bath & laundry room. Close to shopping, restaurants, trails, schools & major highways. Top of the line water resistant wood laminate just installed. It's GORGEOUS!!! New carpet too. Ginormous back yard that backs up to trees for privacy. Pride of ownership in this property and it shows.